Q. 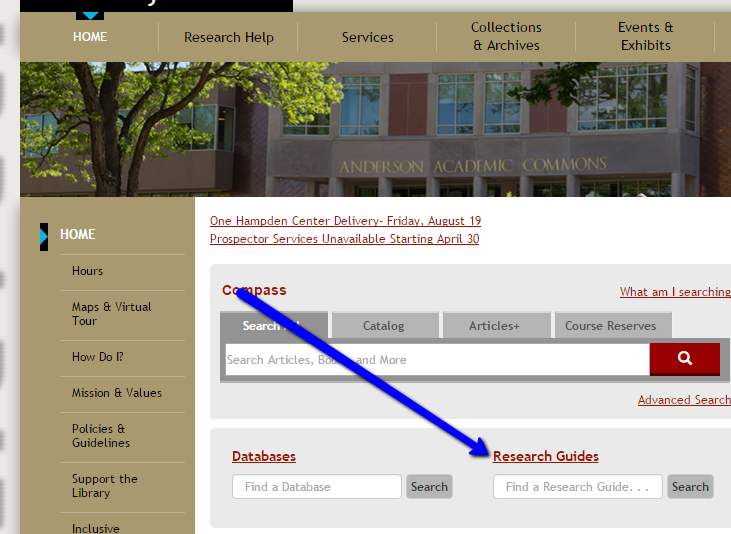 How do I search for grants? Visit our research guide, Funding Opportunities & Grants Research, which provides online help for finding funding opportunities, including grants. 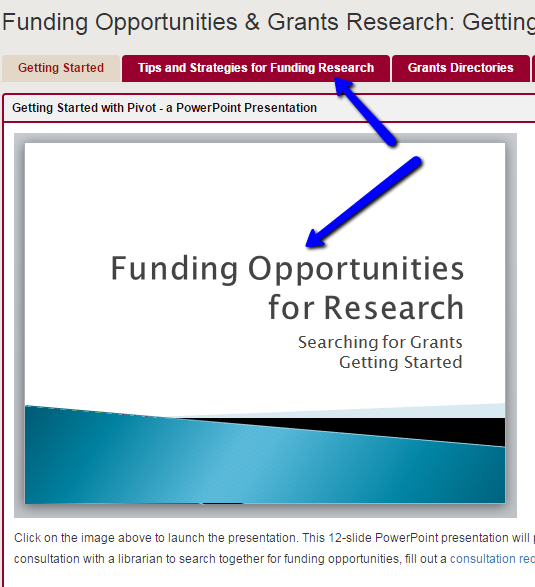 We have created a brief PowerPoint presentation on Pivot, a database which allows searching for grants in a variety of ways, to get you started. Once you register, Pivot allows you to save your searches; each search can be run on a weekly basis, with information about new and updated opportunities emailed to you on Sunday evening. 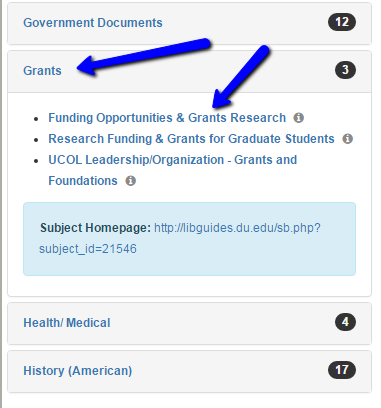 Explore the other grants databases listed under the "Grants Directory" tab. We have also included an online tutorial and a list of librarian liaisons by department. If you would like to schedule a consultation with a librarian in order to search for opportunities, or to learn more about our resources, submit a Research Consultation Request form.